Miss Mani Monster! 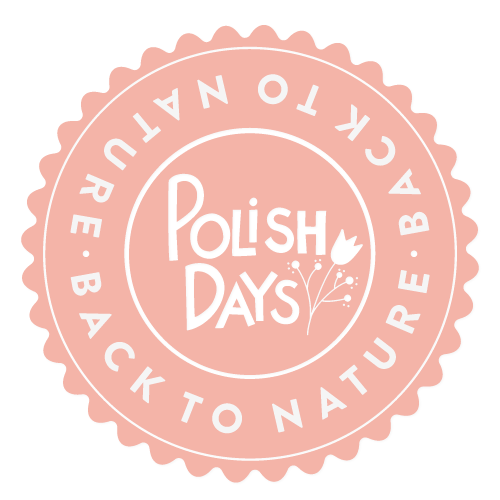 : Polish Days - Nature's Not So Kind to Me! Polish Days - Nature's Not So Kind to Me! Lately, it's been frigid - I mean the type of cold that has a bite and makes you want to turn around and head back in. On top of cold and wind, we've been getting snow, and I am not a fan. Unless you have the luxury of curling up under a blanket with some coffee and a book and watching the snow fall from your window, it's really just a hassle. Driving in it, shoveling it, cleaning it off your car - YUCK! 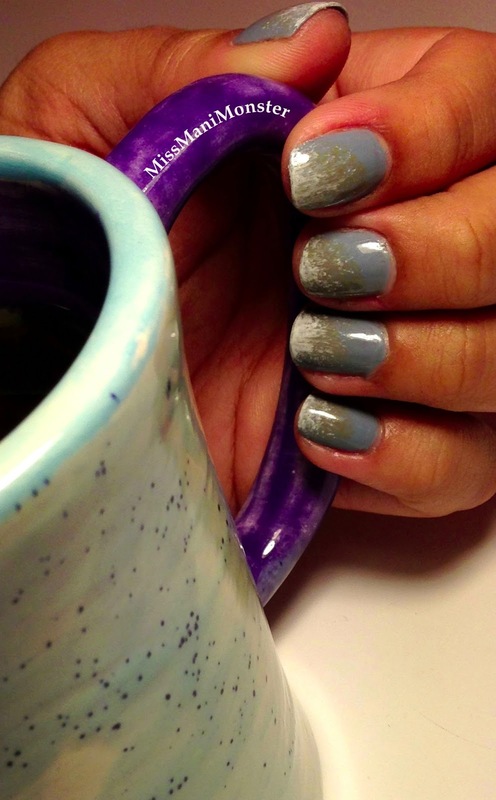 I chose to do nails that reflect just that - the icky, dreary part of the winter weather we've been getting here. 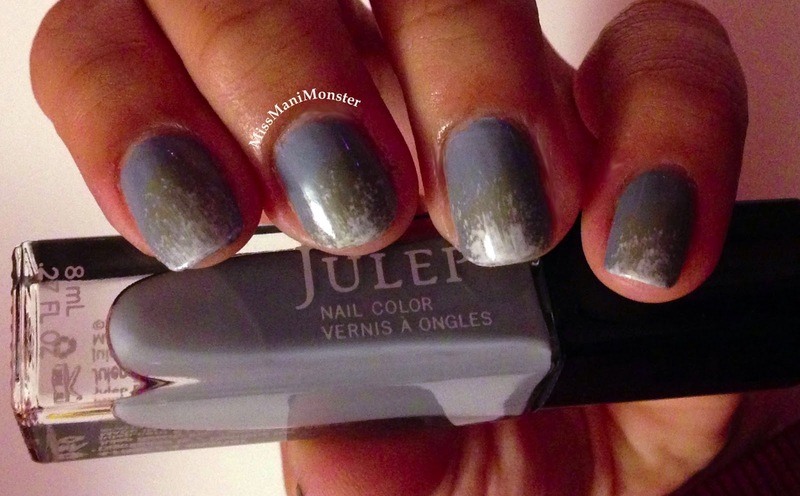 I went with Julep's Julianne for a base, an icy, grayish blue. 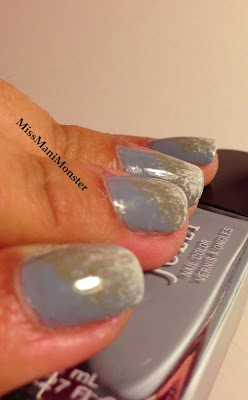 I then sponged on Julep's Lisa, a gray creme, and Wet N' Wild's French White creme. I topped it off with Julep's Freedom polymer top coat (I am really LOVING this stuff!) The sponging actually smeared when I applied the top coat, but it worked out just fine, because it reminded me of that gross snow you find near the edges of the road. You know, once it's been driven over by cars. So gross. But that's winter for you - at least here! Go check out all the designs the other Polish Day Bloggers have submitted! I bet you'll find a few people like winter at least a LITTLE more than I do - hehe! 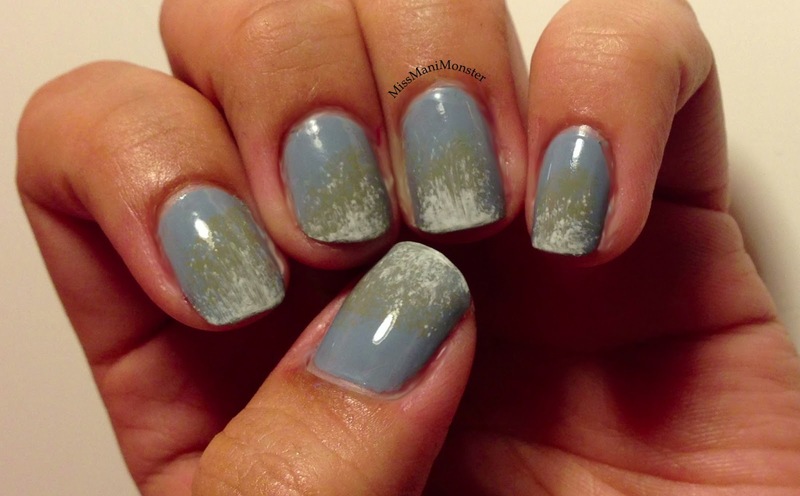 Wait wait, you did...dirty snowy wet winter on your mani? Haha This is what I've been getting for weather. This mani is a KIND representation bahahahha! Thanks! I know I'm ready for spring! I love your rant about snow - still a lovely mani though!